I read this story within two days and it captivated me from the beginning. 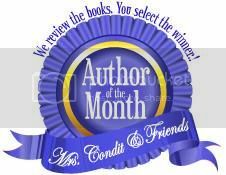 The story was well researched and you could tell how much the author loved the setting and her characters. Her characters were relatable and even though there was some angst, it wasn’t over the top. I look forward to more books by this author. They say great things come in small packages and that’s exactly what you get with this book and you would never know it’s a short story because it’s packed full with a beautiful story about loss, love, and family and some exciting adventures! This book is beautifully written and has a perfect balance! I lost myself within the pages and enjoyed every moment of it.. it’s a captivating read that really pulls at your heartstrings that you just want to jump in and give the character a hug and tell her “everything is going to be ok.. you’ll see!” Not only did I enjoy the characters and the main focal point of the story but there was some really fun scenes that had me laughing.. scenes that had me in complete awe because the author did such a fantastic job at describing the locations and the scenery it all felt so magical and real! You really couldn’t have asked for a better book! Oh! and have the tissues handy your going to need them it has the most beautiful ending I’ve ever seen in a book! This story about a girl named Anela who’s mother suddenly passed away leaving her alone in the world and still missing the one thing she’s always wanted in life, her father. Her mother told her that her father was dead, but in reality in a stunning confession made by her mother a few months prior her father wasn’t dead and still alive in Hawaii where they first met. In the folder her mother left her are clues about her father and a plane ticket to go to Hawaii for two months. Not having any obligations or a job just yet, she decides to go and see if she can located him. Much to her disappointment, her father is on leave and has not yet returned home. Resigned and a little sad that she has to wait to tell her father that he has a daughter she decides to go to the beach. That’s when she meets Christian Sivers who is a soldier just like her dad. They go out twice and seem to really hit it off before he abruptly pulls away from her leaving her once again alone and confused. It’s not until sometime later that Christian finally confesses he doesn’t know how to do relationships but is willing to try leading them down the path of dating one another. While Anela is scared to follow the same path her mother did, she decides to go with the flow exploring the place on the island her mother wanted to see and even falling for a solider just like her mother did. When Anela meets her father and his wife they are quick to take her in as their family, but with her trip coming to a close and being forced to go home alone again can Anela gain the family she’s always wanted? Or will she once again feel abandoned and alone? I enjoyed this story a great deal. While it’s not normally the type of book I read I found it sweet and enjoyable and would read it again just to have something light and fun to read, this particular story I give 5 stars! This was a very quick read and I wish it was longer. This was well written story that kept the pages turning. I can’t wait to read more from this author. “”In My Mother’s Footsteps” is the story of Alena, a young woman who has spent the last year estranged from her mother. Now that her mom has passed away, Alena struggles with the guilt and shame she feels for missing the final year of her mother’s life. Alena is shocked to find that her mother has left her a note, asking her to travel to Hawaii to locate the father she’s never known. Forbes Arnone weaves a descriptive tale full of imagery and emotion. In Alena’s journey, she discovers more than just a long-lost father. She finds love. Of course, with new love comes some drama, but this only gives Alena the chance to mature, which was nice to see. The romance moves fast, but that’s to be expected in a short story. The moments with her dad were some of my favorites. In My Mother’s Footsteps is a beautiful short story revolving around the main character-Anela. Having grown to the age of twenty-two with the belief that she has no father, imagine her shock and other emotions when she’s told this isn’t quite true. Here we have a story where the character goes back to the scene of her mother’s one time holiday romance in order to find her father and get to know him, with only one main thing in mind-the desire to be accepted by him. I rather enjoyed this story by Forbes Arnone. It’s the first I’ve read from this author and I look forward to experiencing more. Her work is descriptive, helping to make picturing the scenes much easier and you can practically hear the music and smell the flowers with this one. Not to spoil anything, but the plane scene in the last chapter but one was absolutely romantic! Excellent story, Forbes! When her mother passes unexpectedly, Anela is not only left alone, but she also discovers her father’s identity. Anela decides to follow her mother’s footsteps and travel to the place where her father was last known to have lived. Against the backdrop of the Hawaiian landscape, Anela not only discovers a family she never knew existed, but learns to forgive and therefore heal. I was truly left speechless by this story. I laughed, I cried, I cheered. I fell in love with all of the characters. One thing I worry about in short works is Character development, but these characters were absolutely perfect (in their human imperfections) and written to make them believable, real, and loveable despite their problems. In a piece like this the story must work and be interesting and the author hit it right on. I’ve never been to Hawaii but I now feel like I have. I am looking forward to this author’s upcoming novel. More great writing and another great story awaits, I am sure! I don’t particularly enjoy tropical vacations (I hate sand and the humidity makes my hair all frizzy), but I enjoyed this quick, romantic trip to Hawaii. Perfect for a single sitting, In My Mother’s Footsteps is warm, light, sensual, and complete. Throughout the story, I felt the author’s love of Hawaii through the characters’ experiences. Hawaii is a fantastic backdrop for this heartwarming romance. On her vacation, Anela is lucky enough to find true love, a family she didn’t know existed, and most importantly, she finds herself. Her journey is heartfelt and emotional, complete with a beautiful and surprising proposal, and a wonderful happily-ever-after that left me just a little teary. See this review and more at TattooedBookReview dot com! This novella is cute and short, but with a heartfelt message throughout. Anela, we learn is alone in this world as her mother has passed onto the next, but with her exit we discover a secret. The identity of the only family she has and who and how this person came into her mother’s life at a young age. I found myself choked up as some of her mothers memories played out – painting and the conversations over why a certain paradise setting meant so much to her. As the young woman travels to one of the Hawaiian Islands we see her fall in love with the many settings her mother over the years depicted through art. She visited the same places her mother once did in her youth as she searched for the one person who could make her make sense of the upside down cluster her life had become. It is then that through her search, she finds herself face to face with a man in uniform that changes her life. To me seeing through her eyes as they bond – how they laugh at each other, fight, and feel that spark, that pulses through our veins, when we meet the one we are meant to be with- made this story special. It was a honest to god, feel good kind of love story that helps us appreciate the those special moments in our lives. I came away with a feeling of everything happens for a reason and how the ending of one chapter is only the beginning to the next. Loved the story and recommend it to anyone who truly enjoys watching to characters’ fall in love and live happily ever after. First, thank you to Jennifer Garcia for asking me to promo her upcoming anthology release with Ren Rom Publishing, along with stories by RE Hargrave and M.B. Feeney. 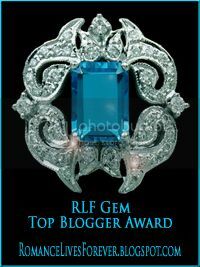 Second, I need to thank Jennifer and Ren Rom for the ARC for this story so I could do a review for this on release day! As I emailed Jennifer on 6/27, I stayed up way too late when I had to get up early to go to work because I was so sucked into this story. I have been trying to figure out what to write for this review because it hit a special place in my heart because I can relate to the main character in a couple different ways. I was adopted by family members when I was 3, I know who my biological mother is but I don’t know who my biological father is. While I grew up with a wonderful dad, I still occasionally wonder who my bio-father is, if I have other siblings, and what he is like. However, I also feel that it has been so many years that I don’t want to be rejected. Will I ever search him out? My answer is no. I had a wonderful dad and I would never be able to replace that. Anela’s journey to locate her father was a journey that tore at the heartstrings, but also watching her find Christian after knowing what happened to her mother was fun. I felt the emotions that Anela described as she was going through this journey. I loved watching Anela find her father and step-mother, but also find the love of her life. I also respect the fact that Anela never forgot her mother and she had to grieve the loss of her mother, especially after she hadn’t spoke to her in the ten months prior to her death. Guilt is a terrible thing and that was one aspect that I thought was incorporated into this story in a good way, not overbearing and not under played. What a fabulous debut for Frober Arnone (Jennifer Garcia). I look forward to more from her! In My Mother’s Footsteps is a short story included in Renaissance Romance’s Summer Heat Volume I anthology and the debut for new author Forbes Arnone. Anela Alborn receives a gift from her recently deceased mother–the chance to find the father she was never told about before. She embarks on a journey following her mother’s footsteps from so long ago. What will she lose, gain, and find along the way? It’s not always easy to pen a short story and satisfy the reader. Many shorts feel rushed or lack character development and essential information. That was not the case with this one. Anela’s backstory was sprinkled throughout, and as I read, it became clear why she had a hard time trusting and allowing herself to be loved. Forbes Arnone’s writing was deliciously descriptive. I’ve never been to Hawaii, but she drew a vivid picture for me with her words. Some of the characters’ reactions throughout the story caused me to cringe, roll my eyes, or comment aloud–because they were acting like real people saying and doing very human things. Those imperfections really brought them to life for me. I realize this was a short story, but Christian and Anela’s separation during the story didn’t quite ring true for me; it seemed to be more of a plot device than a naturally occurring event. The connection between Anela and Christian was palpable and the love scene very well written. There was no fade-to-black, yet it wasn’t explicit either. I thought it was tastefully done and hot at the same time–sometimes a hard line to straddle. I have to knock points off for the editing on this one. I realize my copy was an ARC, so I’m hoping a tighter edit was done later on. The average reader might not notice most of the mistakes, as they’re mostly punctuation related, but there were also occasions of the same word being used very close together and a few awkwardly worded sentences. Anela started out as a scared-to-trust, lost soul and experienced quite a bit of growth throughout the story. 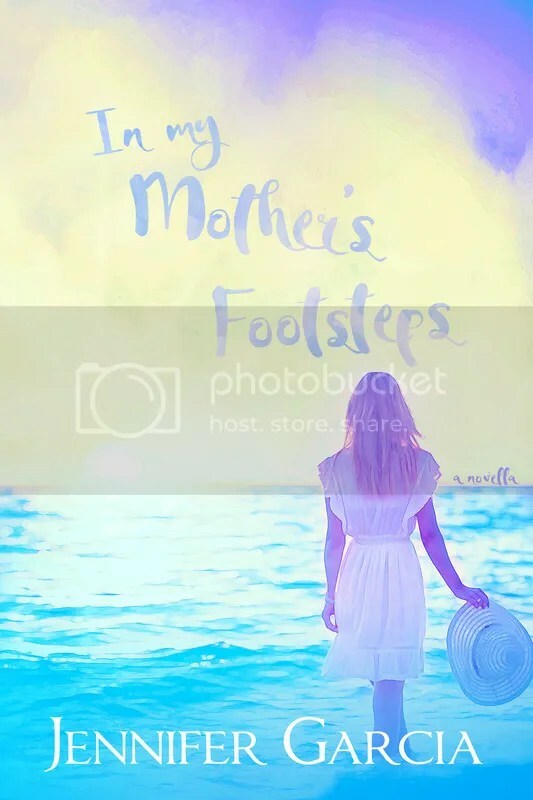 In My Mother’s Footsteps was a lovely, heart-warming journey of self-discovery, love, and family. I give kudos to Forbes Arnone for penning a terrific debut novella. I understand her first full length novel will be released later this summer and look forward to reading it! Being a former military member, this story really touched my heart. I’ve been to Hawaii many times, and the attention to detail Forbes Arnone brings forward to this story is unbelievable. In a short amount of time you can’t help but not only fall in love with Anela and Christian, but to Hawaii itself. And for me, In My Mother’s Footsteps allowed me to fall in love with Hawaii all over again. Following Anela on her discovery of family, love, and life was heart warming and heart breaking all at the same time. You’re rooting for her from day one, and annoyed when you see it end. I wanted more, to be honest. LOL! I kept scrolling and wondering ‘What the heck! Where’s the rest?’. And if any of you find a Christian out there, please give him my number! If you’re a romance junkie, military junkie, daddy’s girl, or just love a great short story, this story is for you. Shocked by the sudden death of her mother, Anela is gifted a parting surprise; a chance to go back and follow her mother’s footsteps and learn to understand and forgive. Anela has been dealt a rough hand, but with time, she heals and moves on, eventually finding her happily ever after.